Bala Dharan is Robert B. and Candice J. Haas Visiting Professor in Corporate Finance Law and Senior Lecturer at Harvard Law School. He has been teaching at HLS since 2008. 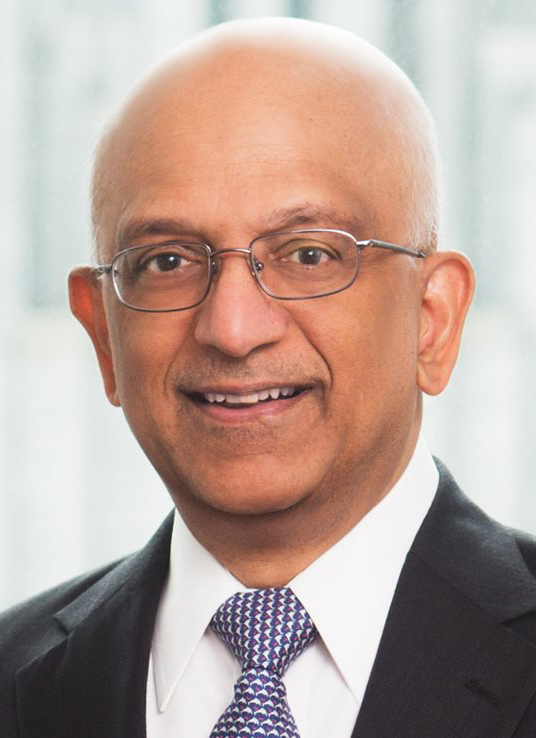 Professor Dharan is also J. Howard Creekmore Professor Emeritus at the Jones Graduate School of Business at Rice University, a Research Affiliate at MIT Sloan School of Management, and a Director at Berkeley Research Group, a litigation and business consulting firm. He has been a professor at the Kellogg Graduate School of Management at Northwestern University and a visiting professor at MIT Sloan School of Management, Harvard Business School, and Haas School of Business at University of California, Berkeley. He has published widely in major accounting and finance journals, and is the co-author of four editions of textbooks. He has been invited three times to testify before U.S. Congress on financial reporting and corporate finance issues. Professor Dharan has extensive business and litigation consulting experience in financial reporting and disclosures, forensic accounting and investigations, damages analysis, finance, valuation, investment analysis, corporate governance, and auditing. He has served more than 25 times as a testifying expert in litigation and arbitration matters. He has international arbitration experience in many of the major international forums, and is named to the 2015 International Who's Who of Commercial Arbitration. CPA; ABV (Accredited in Business Valuation); CFF (Certified in Financial Forensics); M.S. 1977 and Ph.D. 1981 in Accounting, Carnegie Mellon University; MBA 1975 in Finance, Indian Institute of Management, Ahmedabad; B. Tech 1973 in Chemical Engineering, Indian Institute of Technology, Madras. George Batta, George Chacko & Bala Dharan, A Liquidity-Based Explanation of Convertible Arbitrage Alphas, 20 J. Fixed Income 28 (2010). Enron and Other Corporate Fiascos: The Corporate Scandal Reader (Nancy Rapoport, Jeffrey Van Niel & Bala Dharan, eds., Foundation Press 2009). This law school text explores the Enron debacle from a variety of different aspects. Essays analyze the business-government interactions and decisions that laid the foundations for Enron's growth and subsequent demise. Other essays describe and detail the complex web of partnerships and accounting tricks used by Enron to hide bad news and project good news. Additional essays focus on the ethical and legal dimensions of the Enron crisis, and the subsequent lessons for business and law students, as well as for society. Bala Dharan, Valuation Issues in the Coming Wave of Goodwill and Asset Impairments, 15 Bus. Valuation Update 1 (2009). Bala G. Dharan & David L. Ikenberry, The Long-Run Negative Drift of Post-Listing Stock Returns, 50 J. Finance 1547 (1995). After firms move trading in their stock to the American or New York Stock Exchanges, stock returns are generally poor. Although many listing firms issue equity around the time of listing, post-listing performance is not entirely explained by the equity issuance puzzle. Similar to the conclusions regarding other long-run phenomena, poor post-listing performance appears related to managers timing their application for listing. Managers of smaller firms, where initial listing requirements may be more binding, tend to apply for listing prior to a decline in performance. Poor post-listing performance is not observed in larger firms.